This place is a little gem in Coquitlam. They have been in operation for quite a few years now, at first I thought they would not be able to with stand other competition. Especially, they have a very generous offer when it comes to pasta. They have had this special since the day they opened for business. And after years of operation, they still have this “Grand Opening Special”. And it’s probably of this marketing tactic that helped them sustain this business for years! 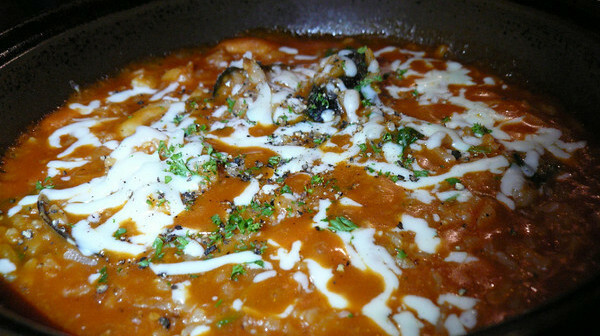 Their pasta dishes are averagely $15, meaning you get $15 for 2 pasta dishes. I would say that pretty much beats their competitors good. Not only do they serve 2 for 1 pasta, but it also comes with garlic bread! Now, that’s what I call a “not-so-cheap” restaurant although their targets are the economy class. I revisited this restaurant for “I don’t know how many times”, BUT it’s my first review on Jimoco. Although I’ve been here many times, but I have not had to repeat one single pasta. There’s just that many varieties to try every time. 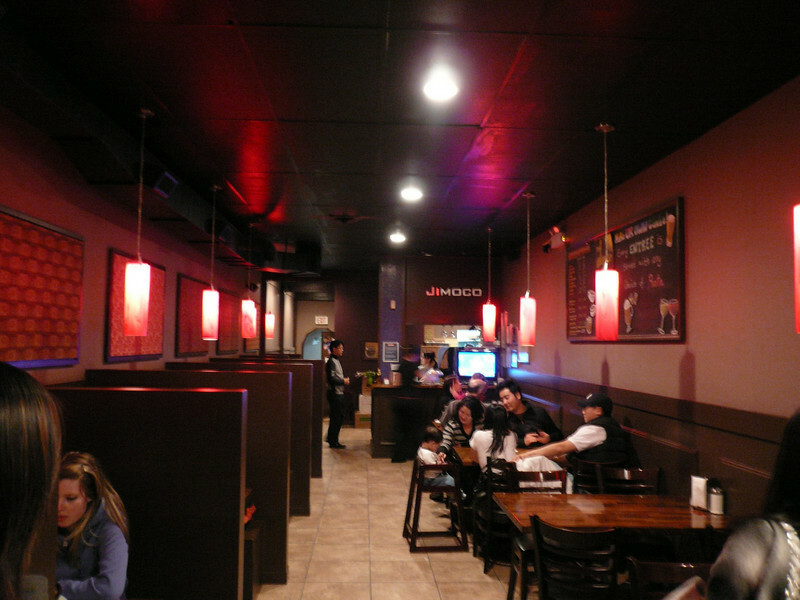 The history behind Jimoco is that the chef is Korean (hence, you would notice many Koreans eating here) but studied in Italy (if I have not mistaken). And opening a pasta place in Coquitlam near North Road is just the right place, because it’s K-town over here! Looks like he really did his research before opening up this tiny place here in Coquitlam. This seemed to be a really popular choice here, just about every table had offered this. I did not even realize after visiting multiple of times. This was a recommendation from my brother. 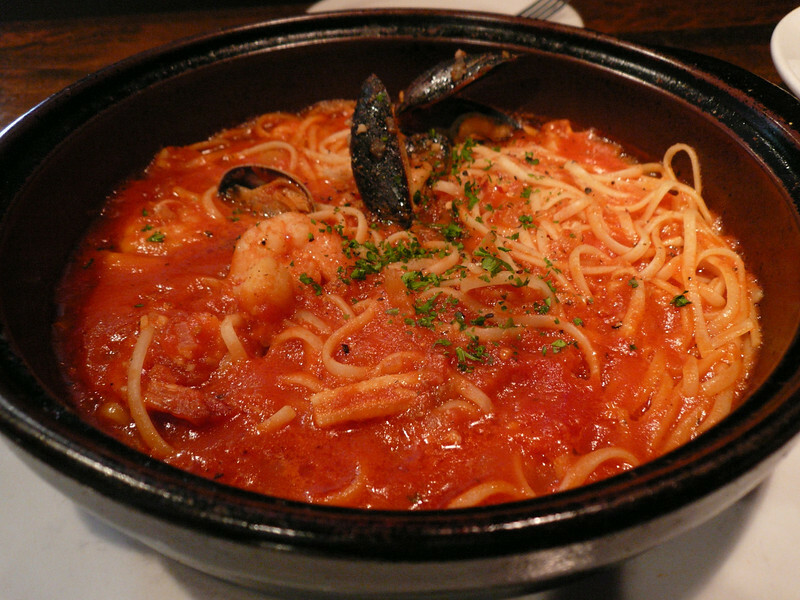 It’s seafood in spicy tomato sauce served in a hot plate. The servings never disappoint here. If I’m hungry that day, I can finish the entire dish in one sitting. And I would be just full! They weren’t cheap on their seafoods either, there was a good amount of prawns, scallops, clams, mussels in the pasta. I asked for the sauce to be mild, but I could still taste hotness in the dish. It was just the right amount of hotness, not steaming hot! And not bland either. My girlfriend had a seafood linguine in cream sauce. The cream sauce was just perfect, my girlfriend thought it was a bit watery, but I loved that sauces actually had the right amount in there (or even more would be great). Like my dish, the seafood had just the right amount. I would definitely recommend this to people who like cream sauce with extra sauce. 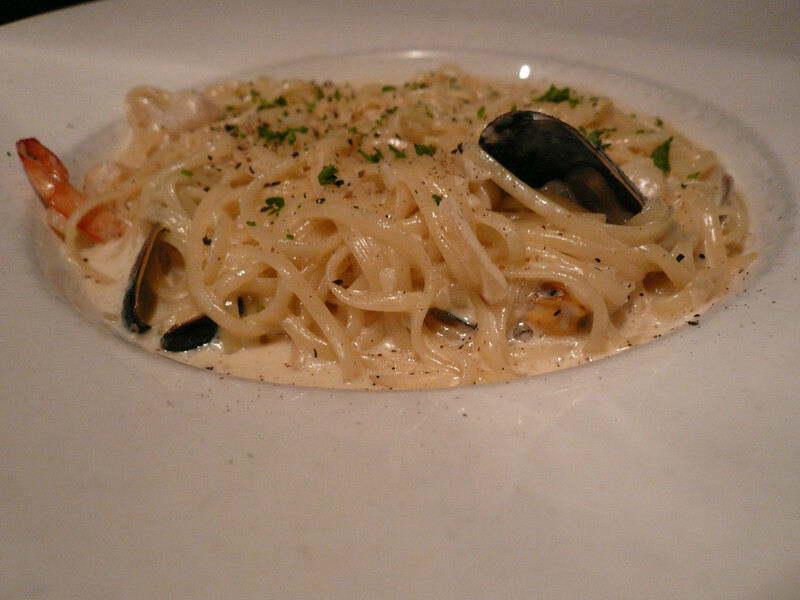 The cream wasn’t very heavy unlike other pasta restaurants that makes the sauce super heavy! Jimoco does its sauces quite well. After visiting and revisiting this restaurant many times, I have not been disappointed with the food and the quality of the food it serves its customers. 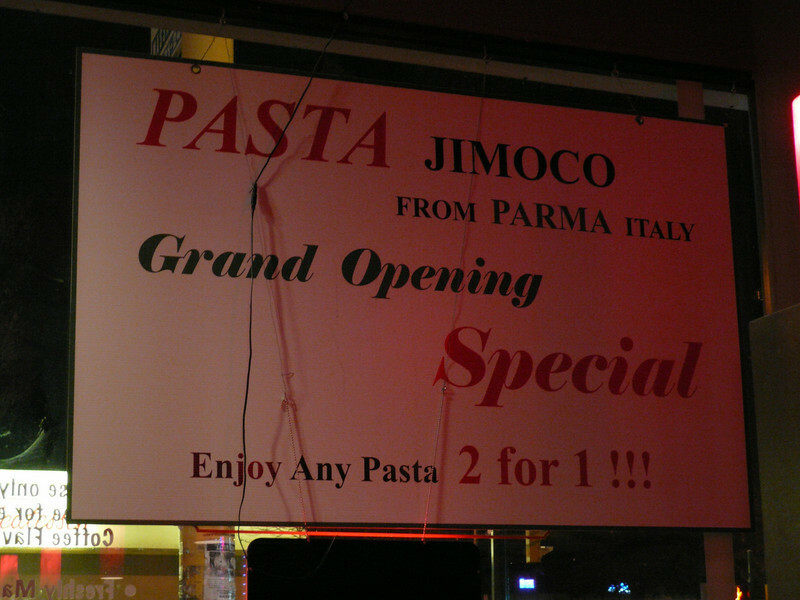 I have also been very happy that it has been serving 2 for 1 pasta still (although, the prices have rose since opening). One thing that this place could improve upon is its customer service, although the waitress are generally very gentle and friendly but, I sometimes feel this place is under staff (especially, when it’s busy). I guess avoid going at meal times and you won’t run into this problem. The ambiance, it’s quiet dark inside so you won’t notice much, but keep in mind it’s for the economy class. It’s not a high-class restaurant. Parking may be a problem to some, as there are really limited parking in front of the restaurant. I was told there was parking in the back, but it’s a back alley. Watch out! I’m just kidding. Where do you think it’s a good place for pasta in Vancouver? Let me know, down below! For people like me on a budget, I think this is alright. I haven't been here yet but will look into I though. Thanks for your recommendation and I check out this gem tonight. 100% agree with your review. I definitely will come back and try more different types of pasta.